What’s New @ Creekside Quilting? Well, my procrastination got the best of me last week. For those of you who know me pretty well, you know that I am usually writing, from home, the newsletter pretty early on Tuesday morning. Last week it came back to bite me when my internet was down and it didn’t come back on until later in the day! Since last week I didn’t get a newsletter out, today’s newsletter may seem extra- long. 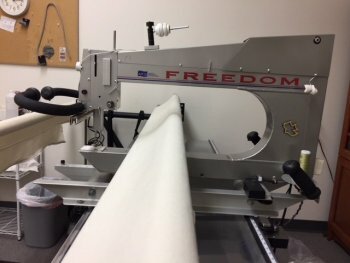 Let's start off with, we are selling our Freedom Long Arm quilting machine. 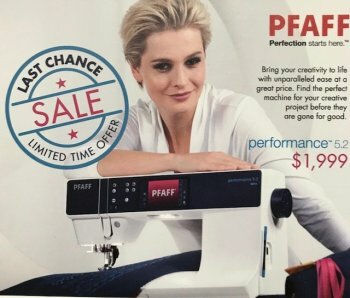 There are so many talented people out there quilting, that it is time to sell the machine and open up that space for more fun products! It is a 2006 machine and has been maintained spectacularly over the past 12 years. I am asking $10,200. Please call me at (515)276-1977 or email me at sienagraceproductions@gmail.com if you are interested. Last week we received in a shipment of Patrick Lose’s full line of BoHo Happy! This is just in time for his visit on Tuesday, August 7th from 4-7pm! 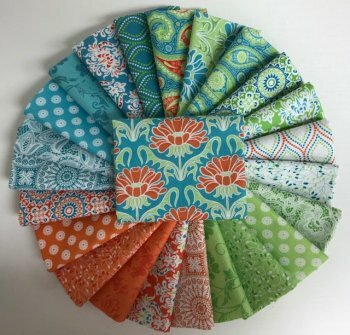 We will be having drawings to give away complete fat quarter sets of his fabric! Quiltfolk #7 is here and they are taking us down to Louisiana! 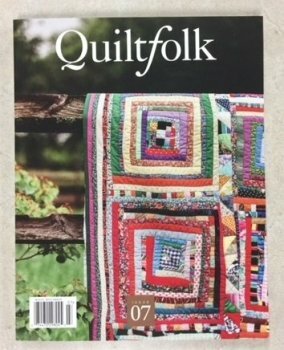 Quiltfolk is one of my favorite magazines! I can honestly say I am a collector of this magazine, as the stories are wonderful and the pictures are gorgeous! 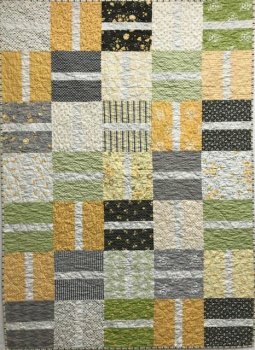 This Sliced Cake Quilt and pattern was created by Barb and is new to the store! It uses Layer Cake packages to complete. She used our Pepper and Flax Layer Cake, but you could use any set, especially Christmas packages, if you are thinking of making some quilts for gifts this year. This is a beautiful, yet simple, quilt to make. 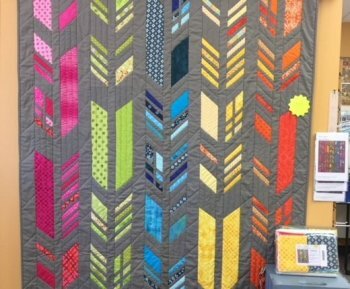 As you walk into the store, you will notice to the left, this beautiful quilt created by Patty! It uses the Alison Glass Feather’s Pattern, and we have 5 kits made up for purchase. It truly is a striking quilt! 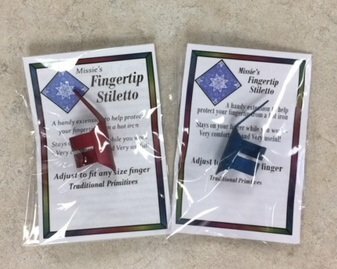 For the hand appliquer’s, we received in a new shipment of Missie’s Finger Stiletto’s. These work great when turning fabric under while pressing with a hot iron. Quiltmania also came in! We have emailed everyone on our list, that would like us to set a magazine back for them. We will hold your magazine until the end of July. 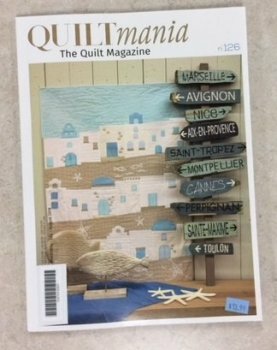 Older Quiltmania magazines that were not picked up, have now been put back on the shelf, so if you are looking for a specific older magazine, we may now have one on the shelf, just give us a call to find out! On Sunday, August 12th, I will be teaching a class in Patrick Lose’s classroom at the Iowa State Fair. 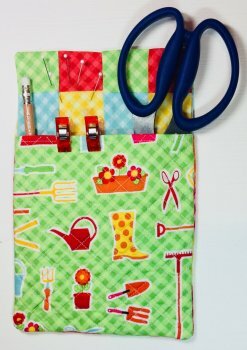 We are making this cute pin cushion, that has a front pocket for storing scissors, rulers, clips, etc. Here is the link to Patrick’s classes while at the fair. If you find one you would like to register for, just click on the box and a page will open up that shows a picture and description of what is being offered, the cost, and the option to register for the class. Mark your calendars for Patrick Lose Meet and Greet on August 7th 4-7pm. Come join us for a fun evening with our Meet and Greet with Patrick Lose. We are decorating our classroom with Patrick Lose quilts, quilts using a Patrick Lose fabric or his patterns. Please bring your quilt before August 6th if you would like to have it hung in our classroom. I have heard people say they are going to bring in their quilt for Patrick to sign….why not have it hanging in the classroom also! We are going to have 2 give-away's of Patrick’s new line of BoHo Happy. And of course, there will be refreshments for your enjoyment. UFO's Friday Afternoon Club on the 29th is still open and is $10 for the full year. If you have UFO’s to finish, come join us! We always have refreshments (including wine) and snacks...after all, it is a Friday Afternoon Club! 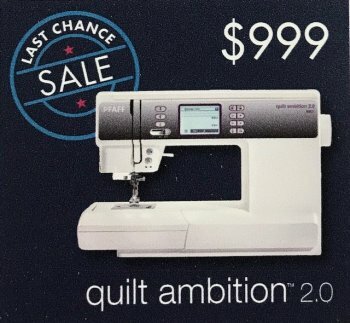 The Ambition Essential is on sale for $599. 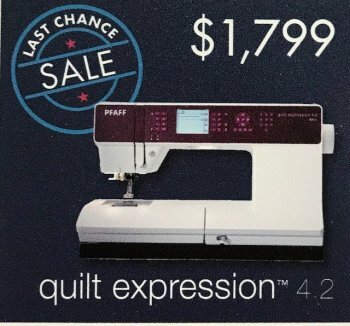 The Quilt Expression 4.2 is on sale for $1,799. The Performance 5.2 is on sale for $1,999. 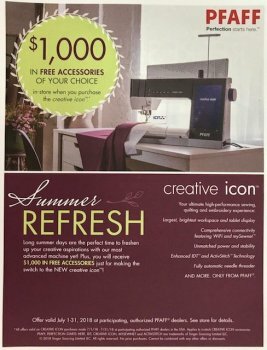 The Creative Icon is offering $1000 in free accessories of your choice now through the end of July. Please bring your Patrick Lose quilts into the store by August 6th! I would love to have our classroom filled with your beautiful quilts using his fabrics and or patterns. He will be so surprised and honored when he walks into our classroom to see this beautiful sight! Please consider having your quilt hang in our classroom for the month of August. We are also taking quilts that have an Iowa State Fair flair to them also. 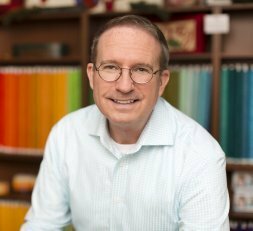 Patrick is a huge supporter of the fair, and loves coming here every year to participate in the Fabric and Threads department. Newsletters, in case you are not getting our newsletters, you can access them on our website (www.creeksidequiltingiowa.com) under the newsletter tab at the top of the home page. Check out our website for new arrivals, top sellers, and sale items! These emails will give you the best and most recent information you need! Keep in touch with us by visiting our website!